Use the form to the right to inquire about booking this tour. 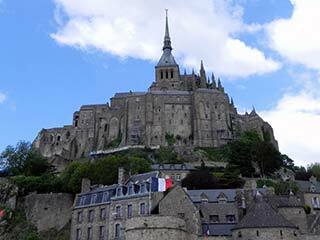 This tour to Normandy, Saint Malo, and Mont Saint Michel will include a hotel pickup and drop off. Please read about our overnight tour to visit Normandy, Saint Malo, and Mont Saint Michel. After being picked up at your Paris hotel or apartment, you’ll drive to Northern France arriving in Rouen. In Rouen, you will have a walking tour in the old town before continuing to Honfleur. On the way to Honfleur, you’ll get to see the spectacular Normandy Bridge, a cable-stayed bridge that spans the Seine River and linking Honfleur with Le Havre. 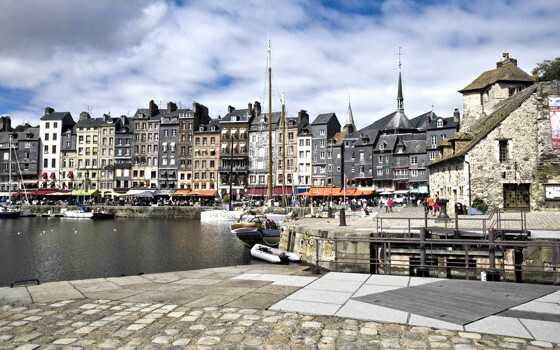 Arriving in Honfleur, you will find a very picturesque fishing village where you’ll have free time for lunch and then enjoy exploring the town’s boutiques and many art galleries. 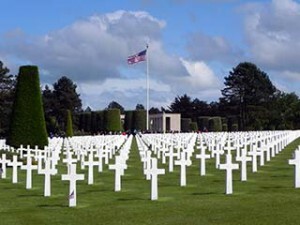 In the afternoon, you’ll visit the American Cemetery at St. Laurent above Omaha Beach and make a short stop in Arromanches (site of Gold Beach) to see the remains of Churchill’s Mulberry Harbour. You’ll have dinner in Caen and stay at the Novotel Caen (or similar). On Day 2, you will have breakfast at the hotel before departing Normandy for Saint Malo. Saint Malo is situated in the Brittany region and you will have a guided visit of the town, including a walk along the ramparts of this walled city. After lunch, you’ll depart for Mont Saint Michel to enjoy a guided visit of the abbey and some free time for strolling and shopping. The bus will leave the Mont Saint Michel at 4:30 PM with a stop on the way back to Paris arriving around 9:15 PM and you’ll return to your Paris accommodations.